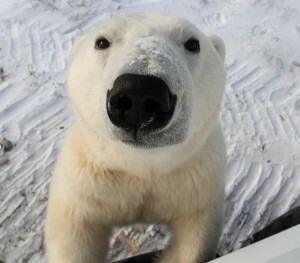 Want to win an adventure trip for two to the polar bear capital of the world in Churchill, Canada? Enter to win World Wildlife Fund’s Polar Bear Adventure Sweepstakes! The deadline is Monday, June 30th. Churchill is absolutely the best place to see polar bears in the wild. To celebrate 40 years of WWF’s dedication to conservation work and protecting the future of polar bears, they are giving away a Classic Polar Bear Adventure for two donated by Natural Habitat Adventures. Visit with the largest concentration of wild polar bears in the world, where you can see mothers raising cubs, young males play-fighting, or a colossal, solitary male strolling over the tundra. Explore the subarctic tundra in our custom Polar Rovers, the most innovative (and most comfortable!) 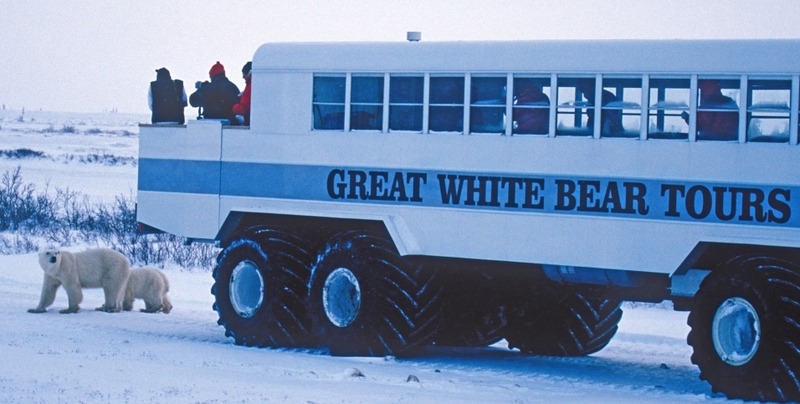 vehicles that allow you to come face to face with polar bears. Learn about polar bears from Nat Hab’s expert expedition leaders, the best naturalist guides on earth. Enter the contest here and then check out some of the initiatives WWF is taking to save this precious species. We can’t wait to see which polar bear fan wins! Best of luck! This is a bucket-list item and a life-long dream! How amazing would it be to have the opportunity to see these amazing creatures in their own habitat?! It is a timely matter, as we need to press on to help save them while we still have the chance. 3 years ago my husband and I took our 9 year old grandaughter, who is an Asberger kid, on the adventure of a lifetime– Churchill Manitoba– with Natural Habitat Adventures. As a child with autistic challenges, we did not know if this was a good or bad idea. She had limited diet preferences and tended to wander around during some of the planned excursions. This adventure turned out to be the best character, body and spirit building trips of our 3 lives. Alaina bonded with the guide who was most generous with patience and time. The cooks at restaurants in Churchill were so sweet and accomodating to her preferences. She even insisted on swimming with the whales. It would truly be a live long dream too meet Polar Bear and visit Alaska it is on my bucket list. stop oil drilling and save the wildlife of Alaska. Alaska on my mind….Lived in Yakutat…..didn’t get to Northern, AK….would LOVE to see the Polar Bears….I went to a presentation about this at the Arnold, CA library…it was so INTERESTING! LOve, Love, love polar bears!